If you know anything about me at all, you know that I’m in the middle of a road running mid life crisis. I have not completely sworn off putting in miles on the pavement, but I certainly give road running a disapproving glare every time I find myself needing to lace up my road shoes. 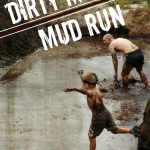 I’m a trail runner through and through, I pledge my alliance to the dirt, rocks, and roots. 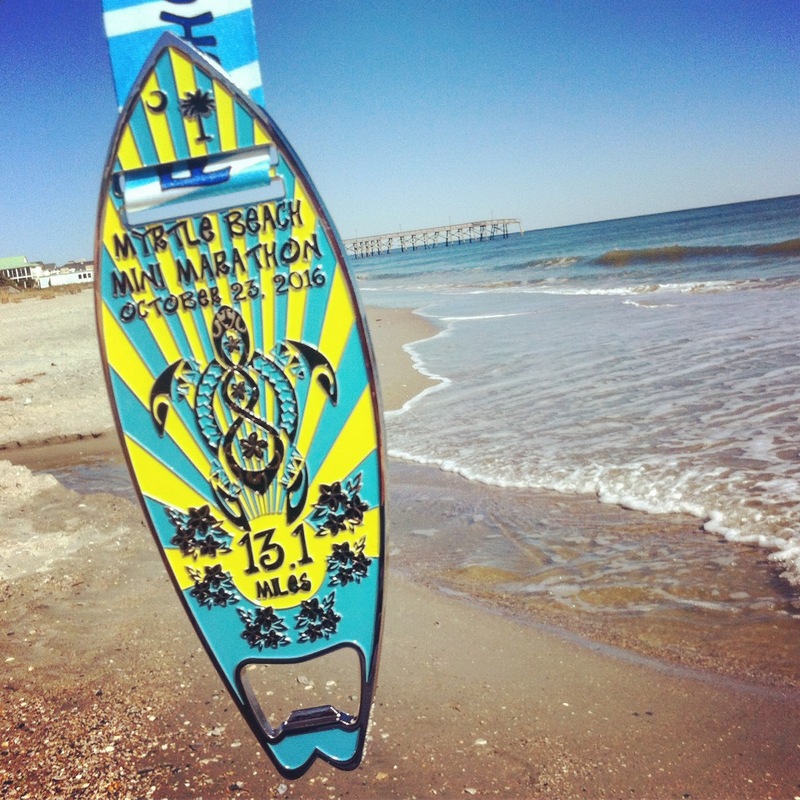 So of course I wasn’t planning on running the 2016 Myrtle Beach Mini Marathon. 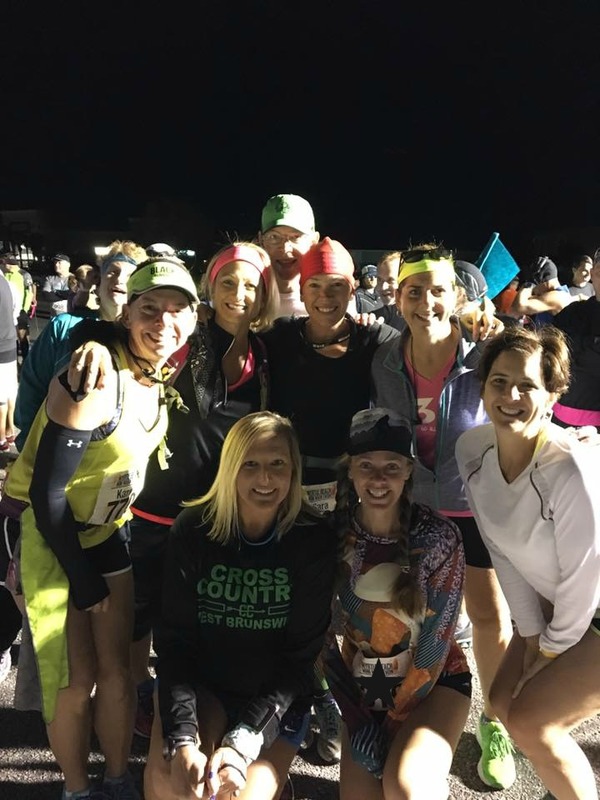 Needless to say, I’m just as surprised as you and everyone else to have found myself at the start line of the half marathon, not even 36 hours after my wedding, when I should have been in the beach rental house sleeping off a hangover with the rest of my extended family. At least I still had on trail shoes. 5:55 am: I stumble clumsily out of the gorgeous beach house my new in-laws were staying in. I’m actually far from a clumsy person, but there is some sort of phenomenon that happens when you are trying your damndest to be as quiet as possible as to not wake anyone. And that phenomenon causes you to trip over everything, accidentally slam doors, and then get all the way to your car and remember you left your race bib inside. So you go back into the house through the now very creaky front door, shine your all-too-bright phone flashlight around hoping to not wake the people on the pull out sofa, and accidentally slam the front door once again. One of the great things about our bigger races here in Myrtle Beach is that we have ample free parking. 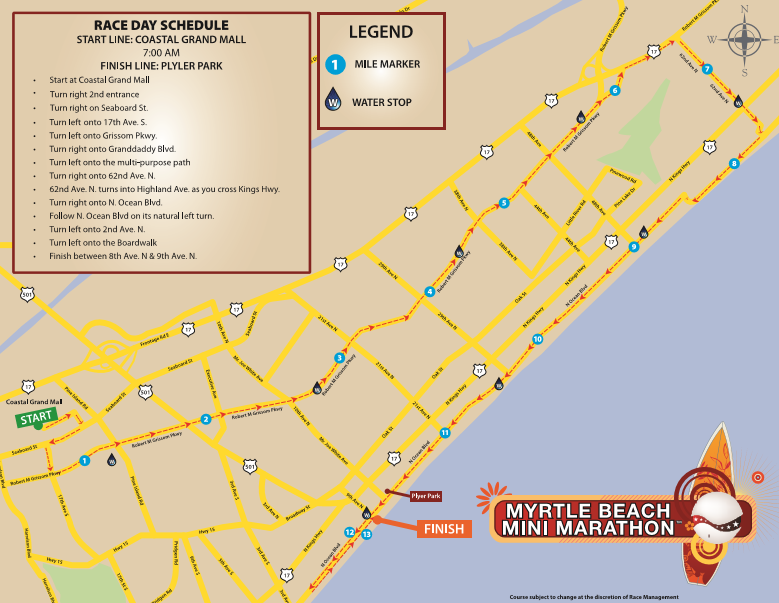 The spring full/half marathon starts next to Broadway at the Beach, and the mini marathon starts at the mall. Finding parking, especially at 6:30 am, is NOT an issue. I park my car, put on my bib, once again question the running gods and ask them what the hell I’m doing here, and exit my vehicle. Geoff is at home sleeping soundly so I am in theory here “alone”. That said, Myrtle Beach has a very sizable road running community, so I know if I wander around long enough, I will find someone I know. I didn’t have to wander far before I spy my new boss/friend Paul holding up his camera to take a photo. My eyes dart to the subjects of the photo and see some of my awesome friends. I dive into the picture with the most successful photo bomb, you’d almost never know I wasn’t supposed to be there in the first place. 6:35 am: I say hi, field a dozen “what are YOU doing here?” questions (ya’ll know me too well) and announce that I’m hopping in the port-a-potty line. A few friends say they need to go as well too, so we turn to head towards the row of toilets. Almost immediately someone says “uhhmmm…I think the line starts that way” and points to the longest port-a-potty line I’ve ever experienced in my decade + of racing. And so we stand. And wait. And wait. Through the numerous time reminders (10 minutes until start time. 5 minutes until start time.) Through the National Anthem. Through the wheelchair race start. Finally it is my turn, so I enter the dark, smelly box that runners are all to familiar with, do what I need to do, and hop back out to the sound of the announcer saying “GO”. I’m running down the sidewalk, trying to find a way to squeeze myself into the starting corral, which is already moving. 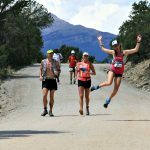 I’m unsure of where to seed myself, as I have zero idea of what I plan to do at this race, other than of course finish it. I’m in no way trained to even attempt to break my half marathon PR of a 1:40 (which let’s be honest, I set 4 years ago. I’m not even sure it counts anymore.) I also know that I want to finish and immediately get back to my family, as they won’t be in town much longer, so I don’t want to get caught up in the back. As luck would have it, I bumped into Paul (aforementioned new boss/friend), Karen (the woman who married Geoff and I just two days prior) and Iris (another local runner). I fall into pace with them at first, enjoy their current speed and camaraderie, and decide I’ll stay put. Karen had a goal finish time, and Iris had the goal of just finishing her first half. I know I can help them with both, so I immediately decide what my goal is for the day: race Sherpa. 7:10 am. Many, many moons and a lifetime ago (alright, it was 6 years) I ran the inaugural Myrtle Beach Mini marathon. While the course has changed slightly, it’s nearly the same. I enjoy that it is a completely different course than the spring half/full. That said, in my opinion, the first half of the race is …pretty boring. We run down Grissom Parkway for nearly half of the race. It’s not horrible or anything, it just doesn’t highlight Myrtle Beach in my opinion. BUT all of that said, the roads are wide open and impeccably manned by the local police, and really, you can’t ask for more. Karen and Iris were perfectly on pace, if not a little faster, than they needed for their goal finish time. In the beginning, we did have to hold them back a little, as the pace would pick up every time we tried to pass large groups to find a clearing. At this point, I realize I’m already the worst pacer ever as I have no GPS, no watch, hell I even left my fitbit home (so many lost steps!) Thankfully Paul was armed with a GPS and kept everyone updated. And for the first 10 miles, everything went as planned. We laughed at a lady with a cowbell that somehow showed up at nearly every mile marker for about 5 miles. We have no idea how she pulled that off, as the course and roads were closed. It was almost like magic. Around mile 7 Karen’s husband Bill executed the most perfect water bottle hand off I’ve ever seen, you’d think they’ve been doing this for years. 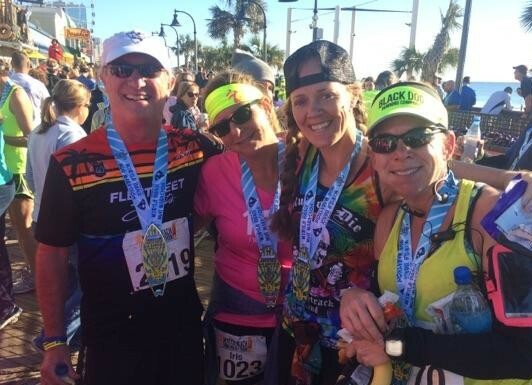 Speaking of mile 7, I was grateful when the course took two 90 degree right turns, and we were suddenly headed back in the exact same direction we came…but on Ocean Boulevard. It was an absolutely pristine morning, with cool temperatures and not a cloud in the sky. The ocean was calm and glimmering, with only a very slight, gentle breeze. It was postcard worthy, and made me remember that this town isn’t’ so bad after all. Around mile 10 things started to get quieter among our little group. I recognize this as the first sign that people are starting to get tired. We have yet to stop, these ladies have been running without a walk break for the entire course so far. But as the energy levels start to wane, Iris chimes in with the first “you guys can go on ahead without me if you need to” comment. Nope, sorry lady, not happening. I’m reminded of the time my friend Christine paced me to this exact same finish line 6 years earlier, and I’m happy to be able to return the favor. So I start rambling off tips that help me when I’m starting to feel the energy levels dip. Eat (obviously!) . Head up, chest out, shoulders back. Give yourself a few strides to open up your body. Reset your posture and your gait. And most of all, check your head space. Remind yourself that you are GOING to finish this race, no question about it. Kick those negative vibes that are trying to bubble up, remind them that they do not belong here. There is something slightly sadistic about a race that forces you to pass the finish line BEFORE you actually get to cross the finish line. The Myrtle Beach Mini is one of those. I remind my little team that this is going to happen: when you see the finish line you’ve actually got about a mile left. It’s a gut checker no matter what way you look at it, but I feel it hurts a little less KNOWING that it’s about to happen. Personally, I’m starting to feel a bit drained myself. I didn’t bring any food/nutrition, and instead of trying to find some, figured it would be a good training opportunity to teach my body to continue going longer without fuel. 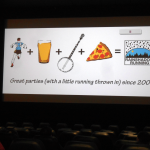 There was a time, many years ago, where my “running buffet” consisted of a few calories every 10 minutes or so. It worked at the time, and helped quell any gastrointestinal issues. But on the flip side, it caused my body to expect those calories, and if I messed up my timing, I would bonk, fast and hard. So these days I’m trying to get my body to really tap into it’s own caloric stores (and believe me, there are plenty of them in there, mainly in the form of ingested hops and frozen pizza). But, we are now about two hours into running, and my body is starting to feel it. But we are in the heart of downtown Myrtle Beach, and the energy is high. We pass the very last aid station just before mile 12, which is manned by so many of our local running friends. There are cheers and high fives…and one more mile to go. 9:10 am. So I lied about the worst part of this race being the fact that you have to run one extra mile AFTER you can already see the finish line. No, the worst part is that the last half mile of the race winds like a snake. I remember cursing this section 6 years ago, and this time I can see my running mates cursing it in their own heads. Paul and I are cheering and firmly yelling at our ladies to keep moving, they are ALMOST there. I know that *I* felt like this section lasted far too long, I cannot imagine how the ladies were feeling. But finally: the finish line. 2:14 something was our final time. About, oh, 15 minutes faster than they had hoped to finish. This of course brings me great joy…but also realized I would make a horrible “official” pacer. Next time I’ll wear a watch. Then I headed to the shuttles that took us back to the start/my car. There was a great after-party with lots of free beer (so I’ve heard) right there on the boardwalk, but I wanted to get back to my family. 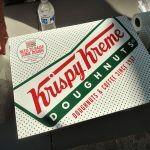 Plus, I promised them warm Krispy Kreme donuts, a novelty to New Englanders, by 10:00 am. 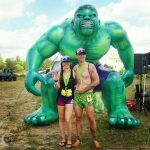 If you’re reading this race recap because you are interested in coming to Myrtle Beach to run this race, I’d say go for it. The course is flat and fast, the aid stations frequent, and the crowd support awesome. The swag is great, with medals that are notoriously ridiculously huge. And of course, you can’t beat the ocean views. 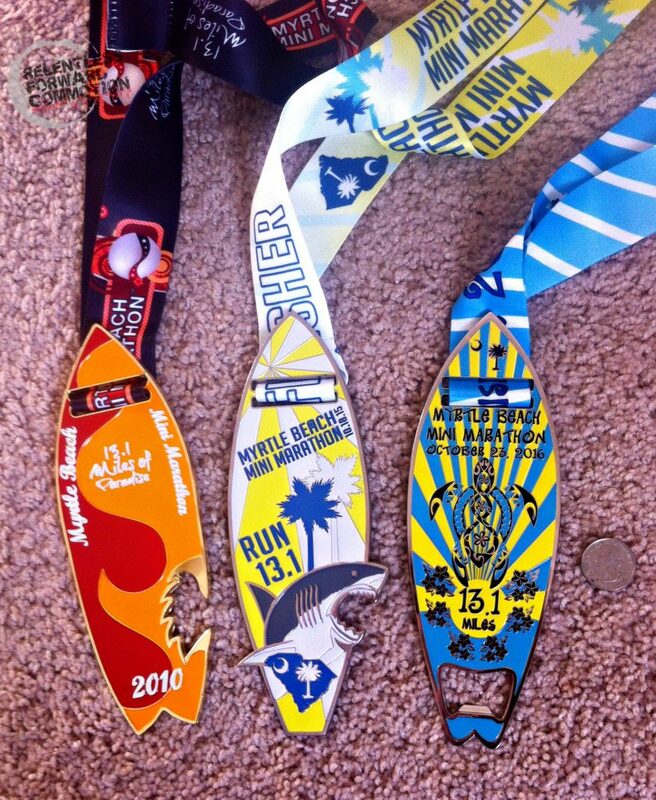 2010, 2015, and 2016 Myrtle Beach Mini Marathon medals. With a quarter (bottom right) for size comparison. 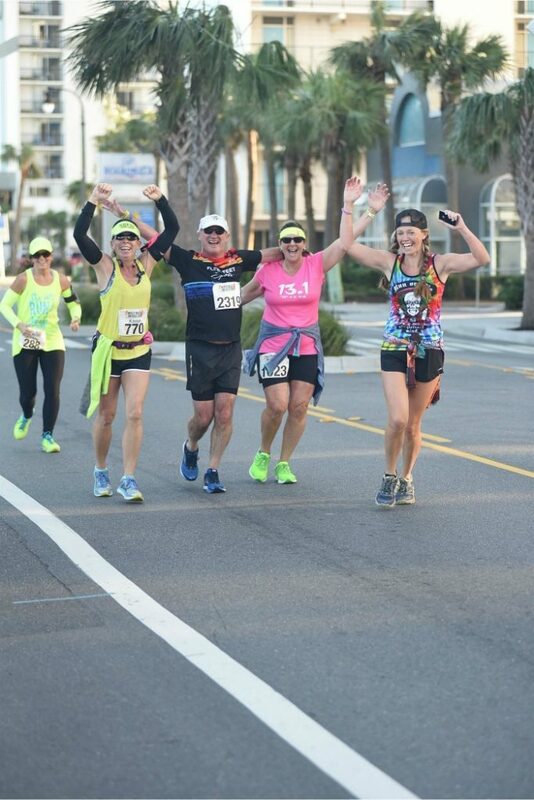 A HUGE thank you goes out to my friend Betty for the wedding gift of a race entry, and to Iris, Karen, and Paul for an amazing morning running the streets of Myrtle Beach! Cool, well done! Looks like a blast with friends. I thought I saw you cross the finish line. This was my first time doing this flat, fast course. The snake trail at the end is grueling but the views are pretty for the last few miles. And, yes, after you catch the first view of the finish line it seems to take forever to actually get to it. I had the best post race peppered vodka bloody mary at the Liberty tap room. Hello! 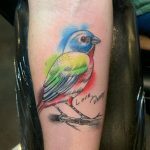 I love your blog(style,writing,races etc.) and was just wondering if you (or anyone else for that matter) can recommend some similar blogs? Some how I’ve managed to go through the majority of your race reviews and I’m needing some new reading material! Preferably blogs from ultra or obstacle course racers as most of the ones I’m finding are all road running fans! Ahhhh I HATE it when they make you run past the finish line! Nice write-up! 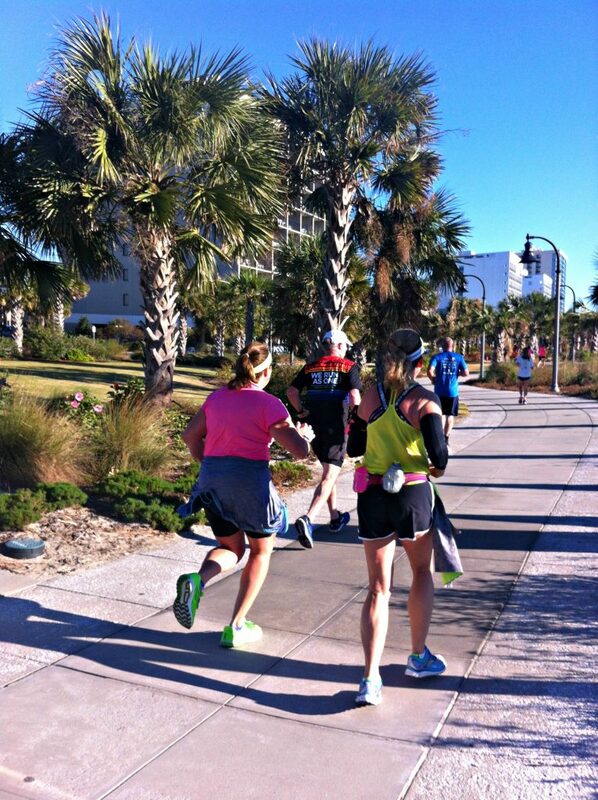 Myrtle Beach mini marathon is really interesting. You did great. Not once but three times! I’ve read your story like it was an article on the magazine. Attractive and specific. Good to know about that. Thank you.